I feel like eggplant (brinjal) and yogurt go so well together. Take baingan bharta, dahi baingan, how delicious those are! Most importantly, eggplant is my favorite vegetable; especially I like the stuffed curry with eggplant. I think whatever you make with eggplant, say curry, gravy, chutney, raita, it just tastes divine. Alright, that’s enough praising the king! Let’s dig into the recipe. Add the eggplant pieces + green chilies + tomato + ginger + cilantro in a microwave safe bowl. Add a little amount of water (½ cup approx.) to the eggplant mixture, cover and microwave for 10 minutes. Let it stand for one minute. Then open the lid carefully as it will be so hot and check if the vegetables are cooked. If not, increase time as required and microwave again, covered. Then mix the contents well. Keep aside. Meanwhile, add turmeric and salt to yogurt and mix well. Add this yogurt to the eggplant mixture and microwave again for 3 minutes. Take out the bowl from the microwave, mix well and adjust salt. Now, it’s time to season the yogurt pachadi. In a small pan pour the oil and add mustard seeds. When they start to splutter, add the cumin seeds + Bengal gram + black gram and finally red chilies and don’t forget curry leaves, if using. Fry well until the dals change color. Add this seasoning to the yogurt pachadi. Mix well and enjoy hot or cold with rice or chapathis. This is my contribution to dear Sangeeth’s “Eat Healthy – Calcium Rich” event. I used a cup of low-fat yogurt in this recipe, which is rich in so many nutrients, especially calcium. It has been proved that yogurt plays an important role in burning fat too! So a cup of yogurt a day is so good for keeping good health. Check out Karuna's post on "Regional Cooking of India" to learn about different cuisines of south India. Uma, that sounds so wonderful..eps the fact that you cooked this in mw!.. Hi uma.. nice entry... new for me.. sounds delicious.. thxs for sharing..
Like the ingredients and great that u did in microwave!!! Hi, eggplant with yogurt pacchadi is new to me. Looks great and simple recipe too..
Looks mouthwatering Uma..And great that u make in MW!!! Uma hun! your recipes are always so delicious :-P thanks a lot dear! Wish i could whip up dishes like this. I am big fan of brinjal too :) Looks delicious the MW method ! Haven't ever tried this, MW makes it more attractive. this is so healthy.. i loved anything with yogurt.. eggplant n yogurt is such a good combo..
wow! this is a new recipe for me...looks delicious! That'snew to me.. must've been delish. My mother is going to love this pachadi, because she is a huge eggplant fan. I'll ask her to look at this recipe and prepare it. Thanks for such a simple recipe Uma. wonderful recipe Uma,lovely picture too and very tempting. I make this at times and love the taste.. Great pic!! Lovely Uma, have a question though... does the yogurt curdle if you add it when it is hot? 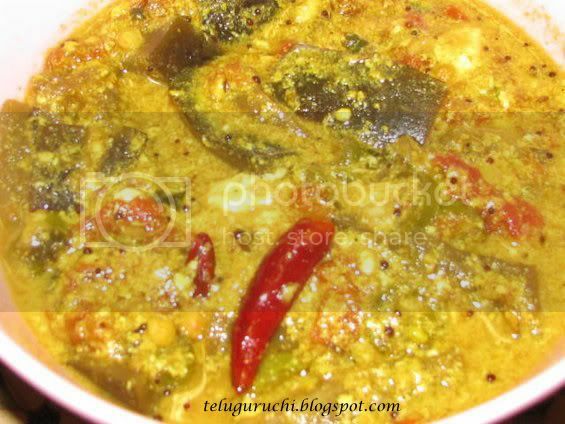 This combination is new to me Uma.Looks great too..
this is a excellent choice and unique baigan dish...looks great..
Eggplant raitas usually involve charring the vegetable. We make a pchadi using eggplant with tamarind and coconut. 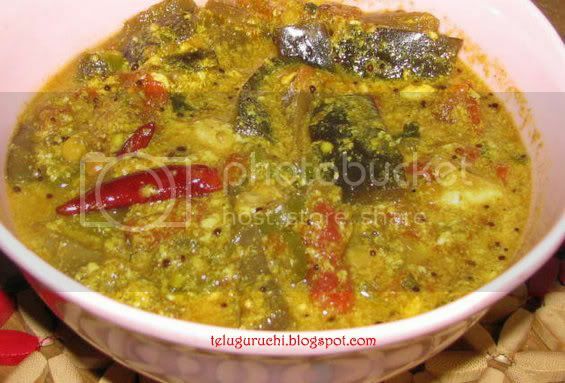 Love anything with brinjal.. we make this slightly diferently.. your version is mouthwatering.